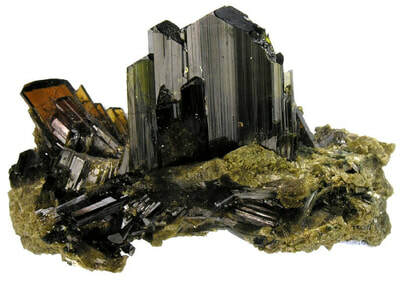 Epidote wasn't identified as a separate mineral until the beginning of the nineteenth century by the French crystallographer Rene-Just Haüy. Before that, it was always considered to be the same mineral as actinolite. 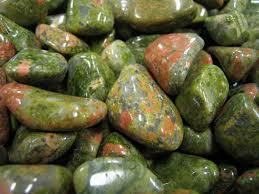 When epidote is combined with red felspar in the same mineral deposit it has been given the trade name unakite. ​Epidote is a calcium aluminium iron silicate hydroxide that belongs to the Epidote group of minerals. They occur as prismatic, slender grooved crystals and as fibrous radiating aggregates. Epidote appears in the colour range from yellowish-green to greenish-black. 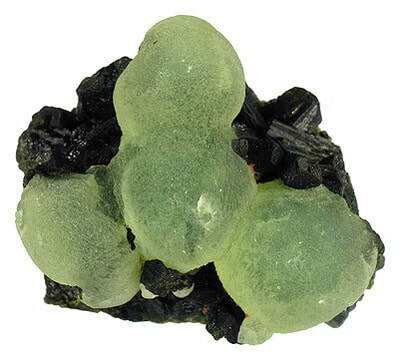 Epidote is named after the numerous crystal faces. The crystals have a vitreous lustre and are translucent to transparent. Epidote can be found in Austria, Italy, Mexico and the USA. Epidote has the ability to increase your energy levels and is useful for strengthening the physical body. This stone facilitates a more complete assimilation of nutrients. It stimulates the immune system and aids in the healing process. Epidote is useful in convalescence, it supports the body's healing process and ensures that you look after yourself in the best way possible. It may well bring to the surface the underlying core causes of obesity and so facilitate weight loss. Epidote increases your personal power and increases memory, making it a helpful when looking for lost objects. This stone is helpful for stamina, the nervous and immune systems, cellular memory and dehydration, It supports the brain, thyroid, liver, gallbladder and adrenal glands. Epidote is the perfect stone for those who fall easily into victimhood or martyrdom, dispelling self criticism and helping you to look objectively at your strengths and weaknesses and at those of other people. Teaching how to set realistic goals, it moves you away from unattainable expectations and the inevitable disappointments that rise when you plan from your emotions. Epidote encourages recovery and regeneration after severe illness of in the case of great exhaustion caused by over work, stress, and painful experiences. It lifts the emotions and dissolves sadness, sorrow, self pity and grief. Epidote also helps you overcome frustration caused by failure and teaches you not to devalue yourself because of mistakes you have made. It is helpful for those stuck in modes of depression, hopelessness, or other negative thinking patterns. Epidote can inject a sense of hopeful optimism. Crystal healers like to work with Epidote for its ability to clear congestion and energy blockages in the physical and subtle bodies. Epidote will help to balance and stabilise the energy flow in the body. ​Epidote improves your capabilities. it helps you to live up to your own demands on yourself in an appropriate manner, with due consideration of your own strength and ability thereby avoiding failure. By gradually increasing these demands your capabilities will then be expanded and developed. Epidote also helps you to accept and admit to your weaknesses. Epidote increases perception and interaction with spiritual beings, and brings spiritual growth. Epidote is a great stone for releasing negativity and raising vibrational energy. Epidote bestows patience. It dissolves false self images, makes you aware of reality and highlights the weaknesses and strengths of your true self image. This results in a desire for change that is realistic that can then be realised and build upon. 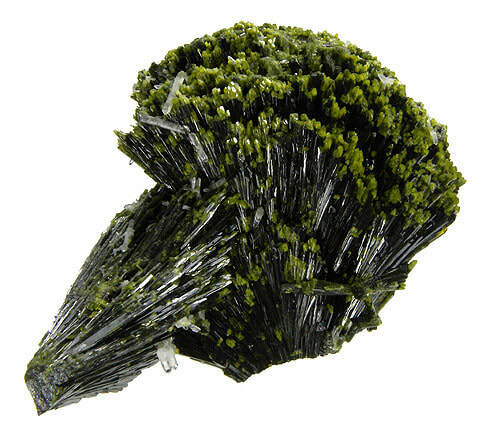 In this manner, epidote will take you back to your original positive inner image of being a healthy, happy person.